We offer five different types of framed photos: Gallery Frames, Barnwood Frames, Lacquer Frames, Loft Frames, and Metallic Frames. 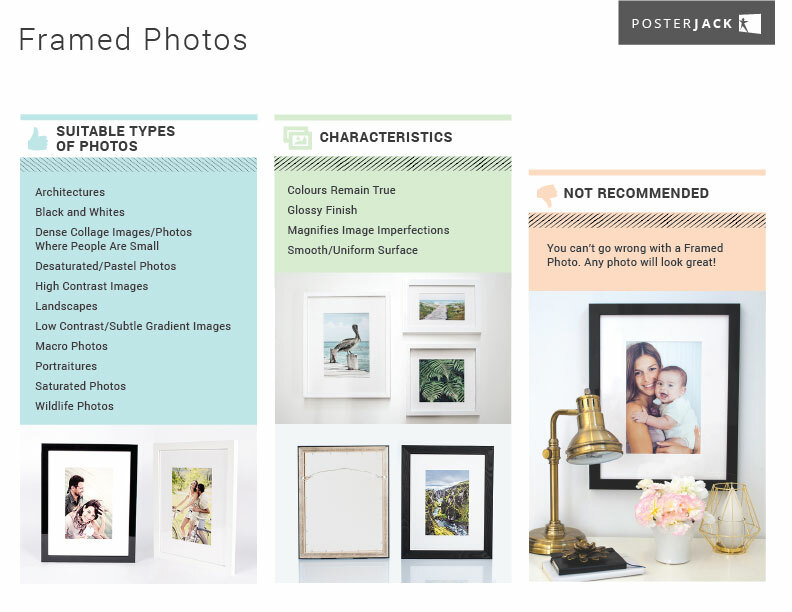 Although the exterior frame of each product lends a different feel to your décor, they will all protect your photo with a UV-inhibiting framer’s acrylic, providing a glossy but low-glare look. Before we frame your photo, it will be printed on a premium matte paper, which is suitable for all types of photos.